An email profile contains information about email accounts, data files, where your information will be stored etc. So the user needs to fill all these information at the time of profile creation in Outlook. So let’s understand how to create new email profile in Outlook. The steps may differ in different Outlook versions. Read the complete article and easily create new profile in outlook 2016, 2013, 2010, 2007, 2003 and 2000. 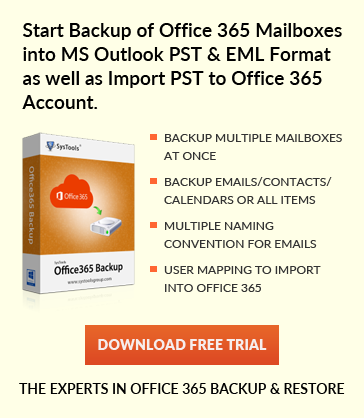 What is Email Profile in Outlook? User Account Information: – In this section Outlook store what account information to use like User Name, Email Server Name, Display Name, and ISP (Internet Service Provider) account password. Where The Data Will be Store: – The Outlook stores data either on email server in .ost format or on user’s computer hard drive in .pst format. This data includes the following fields email messages, calendars, contacts, task, notes, journals, rules, search folder and another email setting of Outlook. The entire Outlook emails profile details stored in the windows registry. As the user clicks on Outlook program. It retrieves Outlook profile details from the registry and identifies the user account and storage location. Now let’s talk about how to create new profile in Outlook. Simply follow the steps mentioned below to create new email profile in Outlook 2016, 2013, 2010, 2007 and all its below versions. Go to windows Start and hit on Control Panel. If not finding Control Panel then press windows key + r together to open Run window. Now Type Control Panel and hit Enter. Click on User Account and then Mail. Now Mail Setup dialogue box will appear with three option E-mail Account, Data Files and Show Profiles. As you click on Show Profile a New Profile pop-up will be open. Simply provide Profile Name and click on the OK.
From Email Account dialogue box hit on Add a New Email Account and then on Next. Now click on the appropriate server type and then on Next. Now fill all account information tabs and hit on Next. At the end click on Finish. Note: – If Mail not displayed in Control Panel window then it means that Outlook is not installed on your system. So in this condition, you need to install any version of Outlook like 2016, 2013, 2010, 2007 or it’s below one. The Mail icon will appear only when the Outlook is installed on your system. Now it becomes quite easy to create new email profile in Outlook. The above-mentioned steps can be performed on Outlook 2016, 2013, 2010, 2007 and all its below versions. You can also Modify Your Outlook Profile easily.